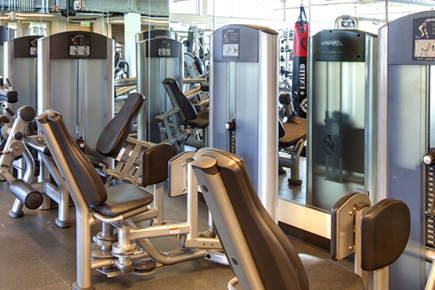 THE VUE ’s 5,000 square foot health club is a great place to work up a sweat and keep in shape. It’s filled with state-of-the-art equipment, from free weights and a circuit of machines to treadmills, elliptical machines, cycles and stair climbers. The health club and adjoining yoga studio, located on THE VUE ’s seventh floor, allow you to work out while enjoying stunning views of Downtown Orlando and Lake Eola.